Specialist Glis & squirrel pest control covering all of London & surrounding areas including, the West, Harrow & Kingston, the East, Romford & Ilford, The South, Croydon & Bromley, the North Barnet, Watford & Redbridge, Essex, North Sussex, Surrey, Slough, Squirrel pest control in Reading and the Home counties. including Luton, Bedfordshire, Kent, Chelmsford, Oxfordshire, Milton Keynes, Newbury etc. JG Environmental are a family run company, you can therefore expect the highest level of service, fast turn around times, excellent flexibility and a smile at the end of it. We provide value for money services and guarantee our work. EMERGENCY SERVICE AVAILABLE- Please contact 0207 183 8906 if you require emergency service out of office hours. We are able to deal with your problem using several methods including humane options. Proofing – JG Environmental provide proofing for rodent and bird pests, from small proofing applications using fillers, wires or mesh to full attic/ loft space proofing, for proofing quotations please email or call using the contact information at the top of this page. 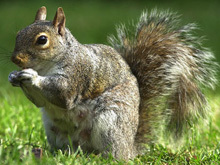 Because of the damage and annoyance squirrels can cause they have become a well known household and commercial pest. They have been known to start fires and chew through water pipes and wreck insulation in attic spaces. The most effective way of squirrel control is through specialised trapping/ baiting including live traps as well as ‘fen’ instant kill traps. Most people do not have access to this equipment, here at JG Environmental we have all the specialist professional facilities to implement effective squirrel control in your property. About Squirrel Pests: Red squirrels are not a pest, the following information is on the non-native ‘grey squirrel’- a common household pest in the UK. Grey squirrels will often make their way in to loft spaces and cavity walls to nest, when they do this they will damage fascia boards, guttering, joists and beams and leave their droppings and nesting materials all over the place. Squirrel droppings may sometimes be mistaken for rat droppings- something our technician can confirm instantly. Other problems resulting from a squirrel problem include the tremendous sound they create from scratching about in cavities or loft spaces- especially once the brood has developed into adolescents! Squirrels have also been known to spread fleas to domestic pets and in some cases have caused house fires. Sometimes a squirrel may die in the water tank and therefore contaminate the house’s water supply- obvious health risks associated with this. Many people see squirrels as an attractive animal and enjoy their presence in the garden however they are known to take food from bird tables and destroy tree bark- which may if persistent kill off little trees. The grey squirrel usually breeds twice a year, once in early March/ late Feb and again later in the summer. Squirrels will produce from one to three litters per year with anything up to 7 young in each litter! JG Environmental will always look to identify access points on your property, a squirrel only needs a small hole no bigger than the diameter of a toilet roll to gain access to your loft space. Because of this it is often difficult to find the entry hole, our technicians are experienced in the biology and behavior of squirrels and because of this will have no problems identifying the proofing/ repair work that is necessary to block the entry hole/s. If the hole is left open, it is likely squirrels will continue to cause you a problem- even if physically culled and removed- once the scent has worn off a new family of squirrels will move in. In saying this however, before blocking any entrance point it is vital to ensure that the squirrels have been removed- for good. To do this is in-humane and in fact illegal, not only this, they will do everything possible to escape, which will lead to a significant amount of damage and in some cases they can even scratch through the loft hatch and run riot in the house. JG Environmental control squirrels using specialist traps, poisons and expert proofing. Covering all London and surrounding.